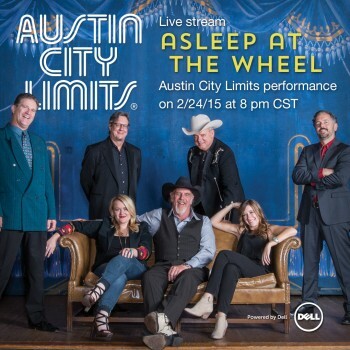 Austin City Limits is pleased to announce a live stream of Western swing institution Asleep at the Wheel joined by special guests The Avett Brothers and Amos Lee, in a special tribute to the late Bob Wills, King of Western swing. 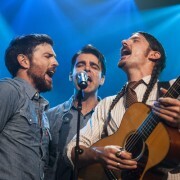 The taping, Tuesday, February 24th @ 9pm ET/ 8pm CT, is the first of ACL’s new season, and will be live streamed worldwide directly from ACL’s stage via the show’s YouTube Channel http://www.youtube.com/austincitylimitstv. 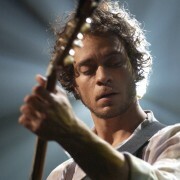 Fans can log on to watch the entire taping as it happens live from The Moody Theater in downtown Austin. The broadcast episode will air on PBS this fall as part of the legendary music series upcoming Season 41. The show’s hashtag is #acltv. The live stream is powered by ACL underwriter Dell Computers. Asleep at the Wheel were featured in ACL’s first official episode in 1976 along with The Texas Playboys, and their return marks an incredible eleventh appearance on the program. Asleep at the Wheel are also the newest members of the ACL Hall of Fame, and will be inducted at a ceremony to be held in Austin later this year. The legendary band releases their highly-anticipated new Bob Wills tribute album Still The King: Celebrating The Music of Bob Wills and His Texas Playboys on March 3rd, featuring an all-star line-up of special guests, including ACL veterans Willie Nelson, Lyle Lovett, The Avett Brothers, George Strait, Kat Edmonson and Merle Haggard. Founded in 1970 and based in Austin, TX, Asleep at the Wheel, lead by founder Ray Benson, has won nine GRAMMY awards, released more than 20 studio albums and charted more than 20 singles on the Billboard charts. 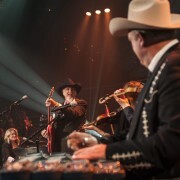 For over 40 years, Ray Benson & Asleep at the Wheel have been the chief practitioners, conspirators and caretakers of Western swing, carrying Bob Wills’ traditions well into the 21st century, reaching both their contemporaries and the next generation of artists inspired by the great bandleader. ACL recently announced the inductees for its second annual ACL Hall of Fame and the first round of tapings for the series’ upcoming Season 41, which also include the Grammy nominated country rebel Sturgill Simpson and acclaimed rock outfit The War on Drugs.